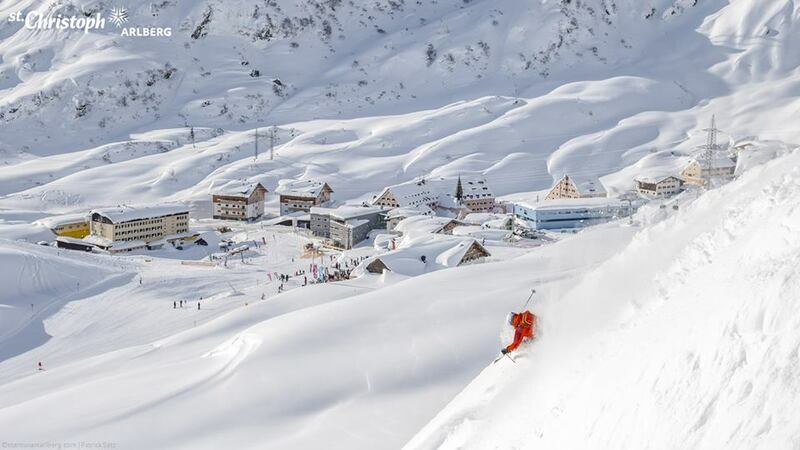 Up to 45cm (18 inches) of snowfall reported in the last 24 hours in Austria, Switzerland and Germany including 30cm (1ft) at St. Anton am Arlberg (pictured). That’s not to say the season is over though, far from it. 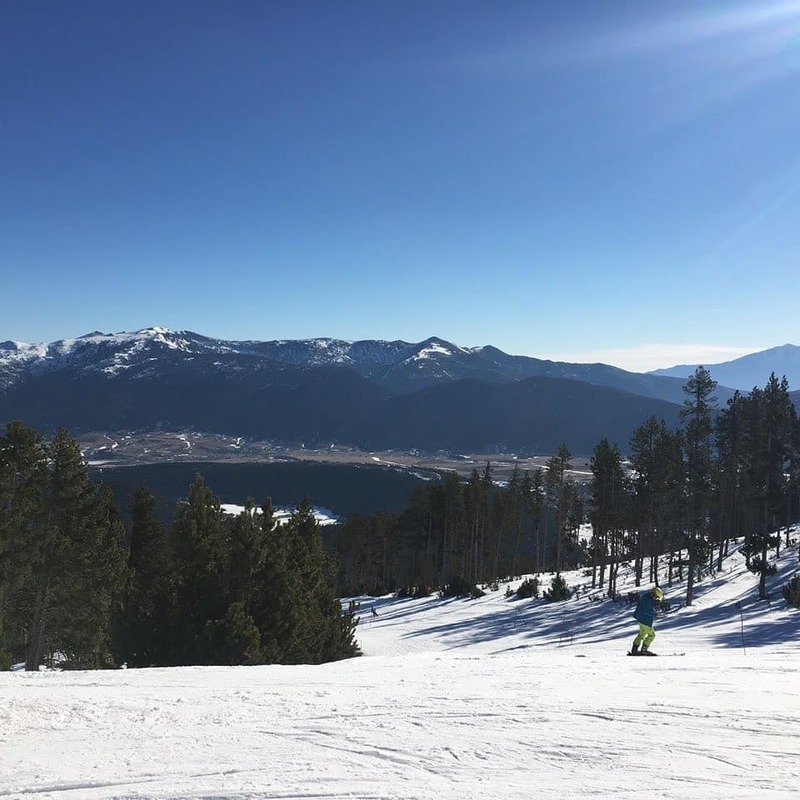 Although the first ski areas are calling it a day for 2018-19 this weekend (or last), most are continuing through into April or May. The snow keeps falling too in many areas at times. The biggest accumulations of the last seven days were reported in the eastern US, and there have also been some good falls reported in Scandinavia. Across the Alps most resorts are reporting classic spring conditions, in common with much of the rest of the northern hemisphere; freeze/thaw overnight/daytime weather means the usual hard-packed snow overnight softening from the bottom of the slopes up from late morning and the best conditions being up high. There was some fresh snowfall in the eastern Alps on Monday/Tuesday. however, with some resorts reporting up to 45cm in 24 hours. Although for most it was much less. The avalanche danger has reduced to levels 1-2 (low to moderate) across much of the Alps with areas that were at level 3 (considerable) a week ago now down to three. Of course, the level of danger can change by the day and often by the hour. So, as always, it is important to check current danger levels as well as knowing what you’re doing, where’s safe to ski and be properly equipped before heading off-piste. Elsewhere in the world, after a week in which there were very few big snowfalls to report anywhere, there have been big falls on the US east coast. Some ski areas in Vermont were getting 3 ft (90cm) of snowfall in to last weekend as was Japan where there had been little fresh snow all month. Suddenly 50-60cm falls were reported in 24 hour periods in many areas. There has been some fresh snow reported in the west in California, Colorado and Utah but this past week, for once, parts of the east have had more. After a mostly dry sunny week last week it has actually turned much colder with some snowfall on higher slopes over the first few days of this week across Austria. Some ski areas reported as much as 30cm of new snow on higher slopes on Monday/Tuesday although for most it was much less. Temperatures were as low as -15C above 3000 metres on some of the country’s glaciers and went down to zero or below in resort too. This has refreshed cover nicely on many runs although we are only talking a few centimetres in most cases. Four Austrian ski areas, half of the country’s skiable glaciers, have more than 4.7 metres of snow lying on their upper slopes now, with the Dachstein (480/480cm) leading the pile by a few centimetres. A chunk of lower-altitude Austrian ski areas will close this Sunday but depths across the country are still good on the ski slopes, partly due to the huge January snowfalls. Formigueres, in the French Pyrenees, has decided to close a week earlier than planned due to the warm weather. Last chance to ski there this season. There has been very little snow in the French Alps in the past week, just the odd flurry on high slopes. The deepest snow-pack reported has thawed by about 10% from last week but is still at more than 3metres (10 feet) at half a dozen French resorts including Les Arcs (166/330cm), La Rosiere (129/320cm) and Avoriaz (185/305cm). These are all, of course, the altitude resorts where there’s clearly plenty of snow lying to last out the remaining month or so of the season. For some traditional resorts, lower slopes depths may be more of an issue for the final weeks. Chamonix (0/280cm) being the obvious example but the lower slope base is going fast at traditional resorts like Morzine (35/315cm) too. The week ahead currently looks fairly dry with temperatures staying sub-zero at altitude. However, after a cooler mid-week spell in-resort and on lower altitude ski slopes, the temperature could climb up to 5-10C above freezing later this week. The weather has been mostly dry and sunny in Switzerland this week with some great conditions on the groomed runs, particularly on higher slopes and in the mornings. There was some fresh snowfall on Monday and Tuesday, however, with Laax (50/400cm) reporting the most with 345cm (18 inches) of fresh cover. Upper slope base depths remain well above average for this late in the season at most Swiss resorts. Engelberg (10/626cm) continues to post the world’s deepest snow depth on its Titlis glacier which will remain open for snow sports for nearly another two months. Lower slope depths here are much thinner, of course, and the above-zero temps that are now prevalent down at resort level mean that many resorts are having to push snow down the slopes to maintain top to bottom coverage. Belalp (0-245cm), Meiringen (0-380cm) and Adelboden (4/180cm) are among the resorts where the lower slope snow base depth is thin or gone. It’s a similar picture to the rest of central Europe in Italy. There has been no fresh snow of note for more than 10 days now and warm, spring conditions have made an impact on lower slopes. But there is good skiing in the sunshine, particularly on higher slopes. Most areas here too have plenty of snow left to see out the season. Although some have a thinner cover than others. For example, Pejo (10/180cm) on its lower runs at least and Cortina d’Ampezzo (20/80cm) which usually manages to keep some of its higher slopes open into early May. Cortina’s numbers are in fact typical of those for ski areas around the Dolomiti Superski area which is currently fully open with skiers in the area reporting great conditions on sunny slopes. There was some light snow on Andorra’s higher slopes over the weekend and temperatures dropped back below zero and have stayed cooler this week compared to last. Otherwise, the snow remains hard packed and in good shape with all of the principality’s slopes open still and all lifts running. 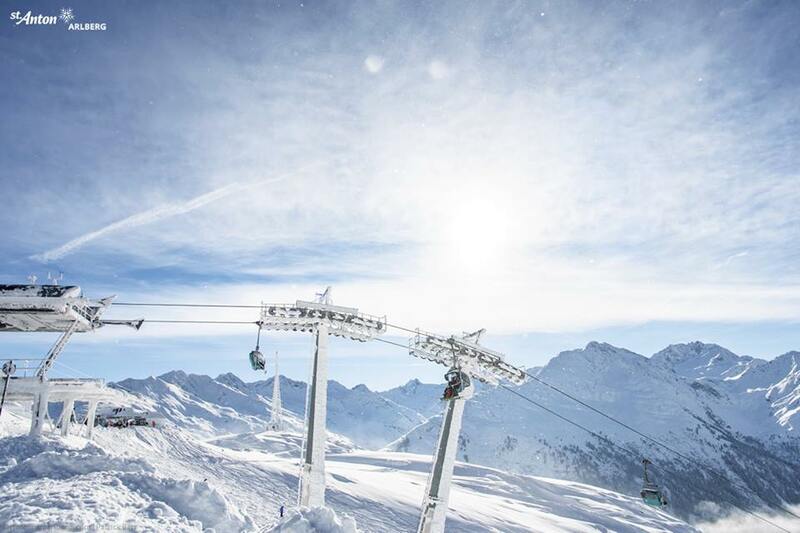 The Arcalis ski area (140/200cm) has the country’s thickest lying snow, the biggest region, Grandvalira (50/115cm) the least. Most of the fresh snow that has been falling over the past week in Europe has been falling on Norway. Up to 35cm was reported on the country’s slopes over the weekend with Voss (70/150cm) reporting a 22cm snowfall in the past 24 hours. However, the whole country has been receiving regular small snow dumps keeping conditions fresh. These haven’t always arrived in gentle snowfalls though, strong winds with foggy periods at times at some resorts have also been weather factors. Less fresh snow reported this week in Sweden or Finland but pretty well all areas in those two ski nations are fully open and reporting good conditions. Most German ski areas benefited from the big snowfalls in the first half of January and lots of them still have snow lying several metres deep on their higher slopes, although down at their bases the cover is getting thin. There’s was some fresh snowfall on high slopes at the start of this week with the Zugspitze (0/465cm), the country’s highest area, getting 40cm on Monday/Tuesday and most areas are still fully open with top to bottom skiing. Spring weather is taking an ever-stronger hold in Eastern Europe too with temperatures down in resort well into double figures at most of the country’s resorts in the afternoon, and staying above freezing in the night too, so there’s no stopping the thaw. Up on the mountain, it’s overnight freezing and a much slower thaw with temperatures only getting a few degrees above freezing in the afternoon – on higher slopes at least. Base depths remain good although there’s been no real fresh snowfall in the past week Bansko (100/180cm) has plenty left to see out the season and the country’s other ski areas report similar healthy snow depths on their slopes too. 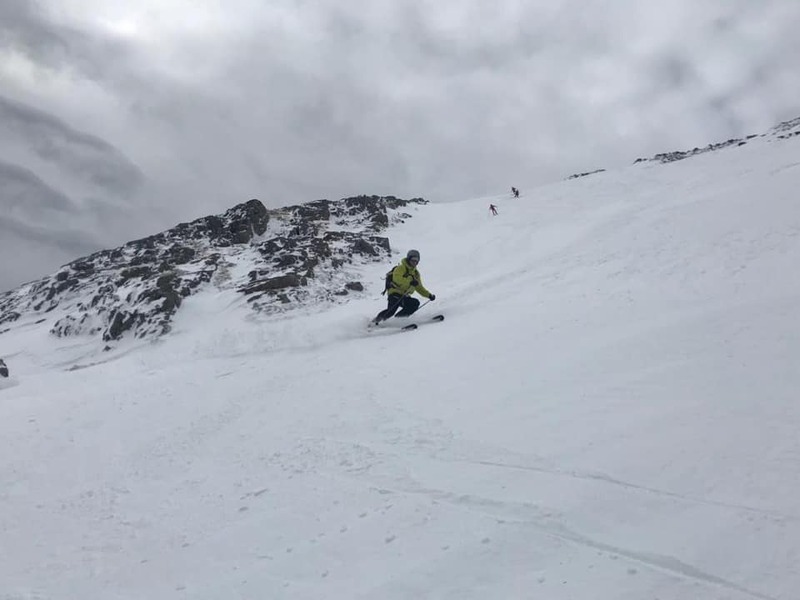 The fragile nature of Scotland’s new March snow cover was clearly demonstrated last week when on Wednesday the five Highland ski areas hit a high for the season of 70 open runs with all five centres at least half open; Glencoe (0/50cm) had all runs open. Then, by Saturday, this total had dropped to 20 with Glenshee (0/0cm) and the Cairngorm (0/0cm) closed completely after several days of warm weather thawing cover again. Just one run was open at The Lecht where SnowFactory all-weather snow making machine snow was used and the remainder divided between Glencoe (0/30cm) and Nevis Range (0/30cm). March has continued dry across Japan with another week with little or no fresh snowfall and warm weather down in resort in most areas. Nozawa Onsen (30/265cm) reported just a dusting of snow at the weekend but temperatures have warmed up since, though are due to drop again. Its March total is 45cm, most of that falling in occasional 2-3cm falls. Up in Hokkaido, it was a similar picture at Niseko (90/310cm). The resort got its first snowfall for a week on Saturday: about 5cm in the resort and 10cm up top, leading to a chase to the top of the mountain by powder-hounds on Saturday morning. Overall though it’s base depth is down about 20cm compared to a week ago due to the warmer weather. Although weather conditions here too are changeable. There’s been almost 3ft (90cm) of snow over the past few days in Vermont, with snow falling on ski slopes along the US and Canadian East Coast. 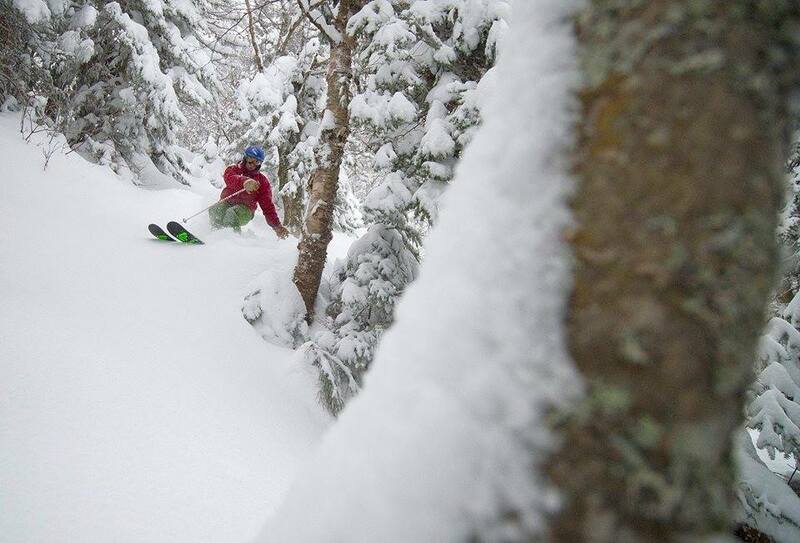 Mad River Glen Ski Area reported 86cm. Winter returned to the eastern US at the end of last week with some of the biggest snowfalls of the season at some resorts, particularly in Vermont. Pico Mountain (76/91cm) reported a remarkable 155cm (just over 5ft) of snowfall through the week and Mad River Glen (25/61cm) got almost 90cm (3ft) in 72 hours up to Saturday. More recently it has been snowing again in the west with moderate to heavy snowfall in California, where the snow is already lying up to 5.8 metres (more than 19ft) deep. Mammoth Mountain (406/584cm) and Squaw Valley (259/577cm), which have the deepest snow in the country, have both had more than a foot of fresh snow so far this week, helping with their plans to stay open to July. Canada is one of the few places in the world where bases are continuing to build, particularly in Quebec where Mont Tremblant (570/570cm) is pulling further away of the rest and now isn’t far off claiming the deepest base in the world; it’s certainly now top five. That said Quebec had seen some decent snowfalls in the past week: Tremblant got 24cm at the end of last week, Mont Sutton (80/110cm) down in the eastern townships near the US border, reported 36cm. There has been snow in many of Canada’s ski region though, just not quite so much as in Quebec. But resorts in Alberta and BC have reported 5-20cm in the past few days with the snow still falling at many. There’s not a lot of change to the weather forecast in the Alps with a continuing picture of normal spring weather. Temperatures are climbing ever higher above freezing in the valleys and staying sub-zero, most of the time on higher slopes. There is some fresh snow falling on higher slopes at times in the Alps, at present. This will continue through midweek before another dry spell. Then there is the possibility of more snow into the weekend over a wider area. The general warming trend will mark the start of the end of the 18-19 season, as per schedule, at the end of this coming Sunday (31 March). Some lower altitude resorts, particularly in Austria (in term of big name areas), but also across Europe will end their current seasons then. The closures will then continue each Sunday afternoon over the following month or so with the majority of ski areas closed by the time we reach the first weeks of May, in about six weeks time. Then the southern hemisphere’s 2019 ski season will be less than a month away. A few dozen resorts in Europe and North America will remain open longer through late spring too though. It’s a very similar picture in the Pyrenees (where at least one resort has closed for the season already in the French Pyrenees) and the Dolomites with mostly warm sunny days but occasional light snow showers on high slopes. In Eastern Europe there is snow forecast over the next few days in Bulgaria. There could be some of the heaviest falls for a while on higher slopes and rain at lower elevations. 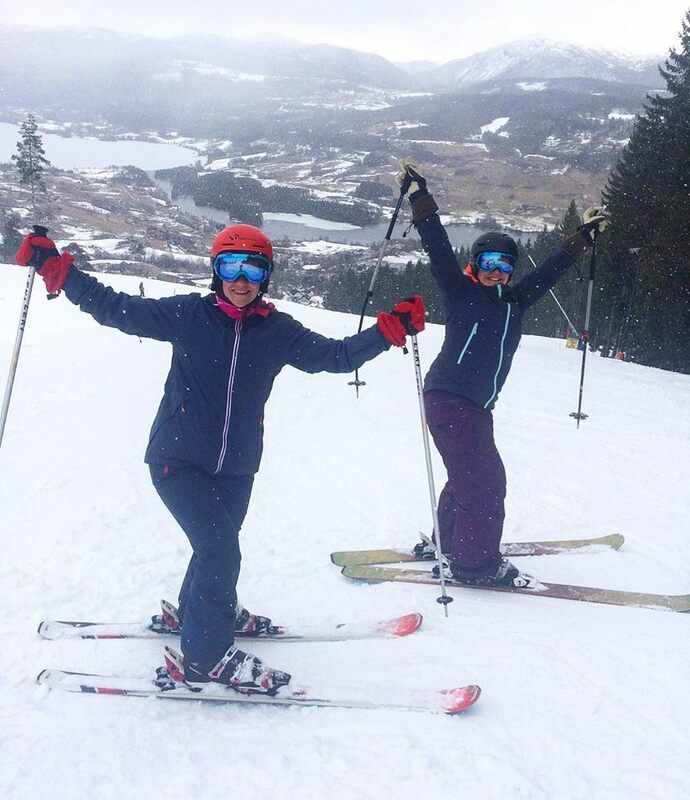 Scottish ski centres got some fresh snow over the weekend and at the start of this week but set against predominantly above zero temperatures more is needed to turn around the current lack-lustre picture for the country’s ski areas. The snow is set to keep falling through this week in the western US with up to 60cm (2ft) more snow likely to have accumulated by this weekend on the slopes of California. 20-40cm falls are forecast further east in states like Colorado, Montana and Wyoming. Snow is also forecast for western Canada with up to 50cm expected in inland BC at resorts like Sun Peaks and Big White through this week, with smaller accumulations of 10-30cm further west on the coast and further east in Alberta.